As millions of students of all ages return to school this fall, they are making important choices that have a strong influence on their eventual career path – which college majors to pursue, which high school classes to take, even which elementary school extracurricular activities to join. Many of them – especially women, girls and members of minority groups – make choices that lead them away from professions in the fields of science, technology, engineering and mathematics (STEM). Women are just 13 percent of mechanical engineering undergraduate students. And women earn only 14.2 percent of doctorate degrees in mechanical engineering. More broadly, women make up 49 percent of the college-educated workforce, but only 14 percent of practicing engineers nationwide. When these disparities persist, everyone suffers. Women miss out on opportunities in growing and highly paid occupations that require science and engineering skills. Furthermore, diverse design teams are more innovative and often avoid key flaws when designing products and systems with which we interact on a daily basis. Early airbags designed by primarily male design teams worked for adult male bodies, but resulted in avoidable deaths of female and child passengers. Early voice recognition systems failed to recognize female voices because they were calibrated for standard male voices. How can we get more women into engineering fields, and help them stay for their whole careers? We need their insight and creativity to help solve the problems facing our world. Experts tell us that there are a variety of things that will help. For example, we need to encourage young girls to develop their spatial skills, laying the foundation for further scientific exploration as they grow. We also need to find ways to help women feel less alone as they help us build a more inclusive engineering community. This includes hosting female-focused engineering interest groups on campuses and in workplaces, and highlighting engineering role models who reflect the true diversity of our population. All of these things are important, but one of the simplest and most effective things we can do differently is something as simple as richer storytelling. Most people have a very limited understanding of what engineers do – and we engineers don’t do a good job of expanding that view. We need more women engineering graduates like these. In my mechanical engineering department, we have used the power of richer storytelling to strengthen our outreach and recruitment efforts, and it is working. 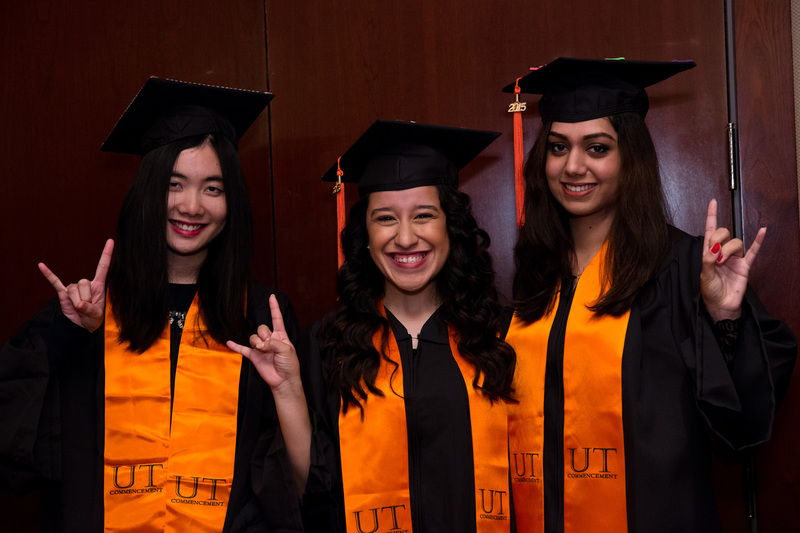 Since 2013, we have raised the proportion of women in our undergraduate mechanical engineering program from 17 percent to more than 22 percent – nearly double the national average – representing an increase of almost 70 women in a large undergraduate program. In a very famous TED talk, the Nigerian novelist Chimamanda Adichie explains how our lives are a beautiful tapestry of overlapping stories. She warns of the danger of summarizing any one person or any one group of people in a single story. In her case, when Westerners learn she is African, they automatically call to mind the one-dimensional story propagated in the Western media of warring African ethnic groups with children living and dying in abject poverty. That conflicts starkly with her identity as a talented writer who emerged from a comfortable middle-class childhood in Nigeria. She doesn’t fit the stereotype that many people envision. Single stories, she warns, often result in crucial misunderstandings. Richer stories are needed to capture the true essence of any group of people. But engineers propagate a single story of ourselves all the time. Engineers solve problems using math and science. That’s our single story. But many young people, women and men alike, hear that story and can’t relate to it. They may be quite skilled in math and science, and they may enjoy solving problems, but they want to do much more than that. They want to be creative and collaborative. They want to design systems that make people healthier and safer and preserve the environment and make the world a better place. What they don’t hear is that engineers do all of these things. Engineers design everything – absolutely everything – in our built environment. Engineers are much more than a single story. 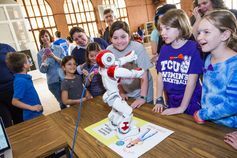 In a highly influential publication called Changing the Conversation, the National Academy of Engineering found that most K-12 teachers and students (and their parents) have a very limited understanding of engineering and what engineers do. They tell students that the prerequisite for success is a strong aptitude for math and science, which is reinforced by engineering outreach programs that emphasize almost exclusively the importance of math and science and focus on building interest in those subjects. Rather than focusing exclusively on that single story, the National Academy recommends focusing on how engineers make an impact on the world and the need for creativity, communication and teamwork in the engineering profession. It’s a much more multifaceted story. In my mechanical engineering department alone, we have no shortage of rich stories to tell. Our mechanical engineers are designing prosthetics that empower amputees to walk and run again, robots that rehabilitate stroke victims, batteries that power all of our portable devices and new materials that could protect our athletes from damaging hits. We develop techniques to perform minimally invasive surgery with ultrafast lasers, and we study the intensive demands of the energy industry on limited water resources. Simply telling the right stories is not effective, however, unless the right audiences are listening. Over the past few years, in collaboration with our Women in Engineering Program, we have engaged in a focused effort to connect with the K-12 community across Texas. Engineering is much more than just math. Prospective engineering undergraduate students attend open houses across the state with young alumni, current students and faculty. Young alumni visit school district college days. Current students call prospective students and host them when they visit the campus. Study abroad programs are geared especially for engineering students. In response to requests from incoming students, especially female students, we also developed a new first-year research program in which incoming students participate in engineering projects during their very first semester on campus – such as designing a customized prosthetic device for an accident victim. They see firsthand how their efforts affect the lives of real people and expand our knowledge of how to create next-generation designs. These efforts, together with richer storytelling about our profession, have contributed immensely to our diversity gains over the past few years. An important aspect of our improved statistics is not just recruiting but retention. More than 80 first-year mechanical engineering students (more than half of whom are female) have participated in the first-year research program over the past three years. Our most recent surveys indicate that half of the inaugural class continued to participate in undergraduate research after the program ended. Other retention efforts supported by our Women in Engineering Program include women’s groups in specific engineering departments and research projects for second-year students, as well as the first-years. More than 95 percent of incoming female mechanical engineering students in the fall of 2014 continued to study mechanical engineering in the fall of 2015, the most recent year for which data are available. We also need to revisit our curriculum frequently to remove as many barriers to student progress as possible. For example, experts tell us that these early classes need to incorporate as many real-life and everyday engineering examples as possible to continue to encourage students to stick with challenging introductory classes as they work toward broader and more compelling engineering lessons. We need to support and encourage students to build the math, science and engineering skills they need to be successful engineers, but we also need to help them develop a broader understanding of those skills as tools for building a better engineered world. When we begin to tell multifaceted stories like these, then we find that a much larger and more diverse set of students identify themselves as engineers.